The great bulk of the land we now know as the centre of Clacton-on-Sea belonged to Seaside House Farm which belonged to a man called William Howard and was situated on the corner of what is now Rosemary Road East and Station Road in an area then known as Clacton Beach. When he died in 1809 he left the land in trust to his daughter Elizabeth. One of the conditions was the land could not be sold during the lifetime of Elizabeth or her husband William Watson. Elizabeth died in 1848 and was buried in St John’s churchyard. Her husband lived until November 1864 and it was with his death that the trust conditions ended and the farmland became available for sale and development. Their son, James Yellowby Watson, lost no time in April 1865. 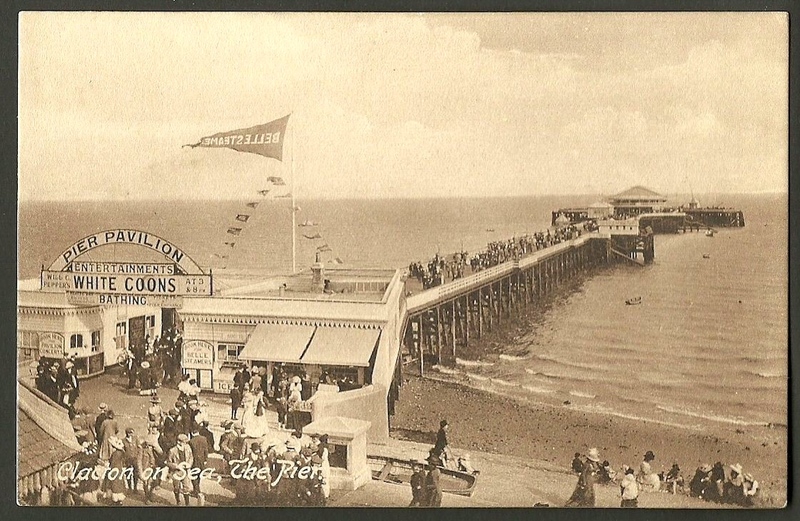 The press carried an advertisement announcing that an auction was to be held in “June or July next” at which the “valuable freehold building land” known as Clacton Beach was to be sold off in lots. The advert mentioned the "fine sandy beach”, “purity of the air” and the “extraordinary healthiness of the place”. Watson was also willing to discuss selling the land as one lot prior to auction. One man who was interested in buying the whole lot was Peter Bruff. Originally from Portsmouth, but by now living in East Anglia, with houses in Walton-on-the-Naze and Ipswich, Bruff was engineer-in-chief of the Tendring Hundred Railway being built from Colchester to Walton. Bruff bought the 50-acre site in 1865 and immediately sought Parliamentary powers to construct a railway from Thorpe-le-Soken to a point just 60 yards from the cliffs together with a 300 yard long pier. The Thorpe and Great Clacton Railway Act was passed in July 1866, giving him the green light, on condition that they were completed within five years. The Act also laid down a scale of charges for landing goods at the pier, including 6d for a barrel of gunpowder, 1d per cubic foot for musical instruments, 2/6d for turtles ... and £1 for a corpse.Bruff’s proposals for a new seaside town did not go down well among Great Clacton's village elders, who were most concerned about the effect it would have on their rural peace and calm. At a village meeting just before Christmas 1865, they unanimously agreed to “dissent from the company carrying on this scheme”. And just in case anyone was still not clear about how strongly they felt on the matter, they underlined the word “dissent” in the minutes – twice. Meanwhile, Bruff was suffering cash flow problems so he turned to the Woolwich Steam Packet Company. It was successfully running steamers on the London to Margate route and looking for a stopover point north of the Thames as a way of increasing trade on their Ipswich route. Bruff arranged to meet their chairman, William Parry Jackson, on the windswept and desolate beach at Clacton. We can only imagine how the conversation went and the picture Bruff painted of his new town, but whatever he said, it worked and the Woolwich Steam Packet Company agreed to finance the building of the pier in return for the right of their steamers to call there. 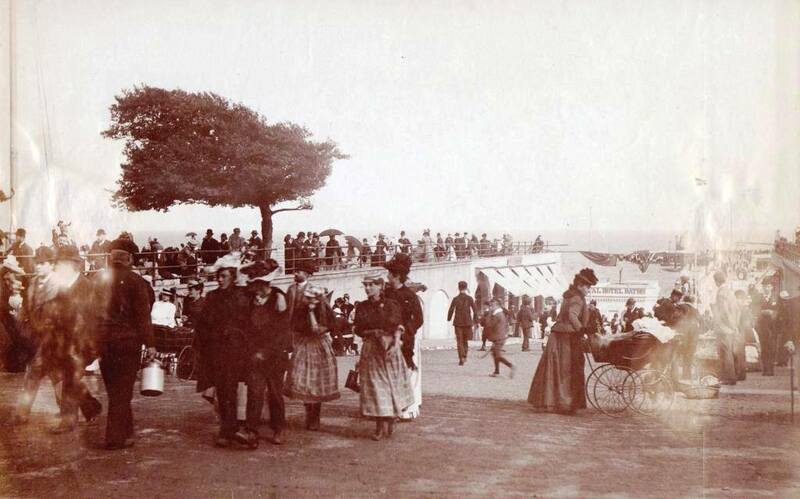 In early July 1871, the Essex Gazette reported that building was going well and that the Pier would be ready to receive visitors within the next couple of weeks. 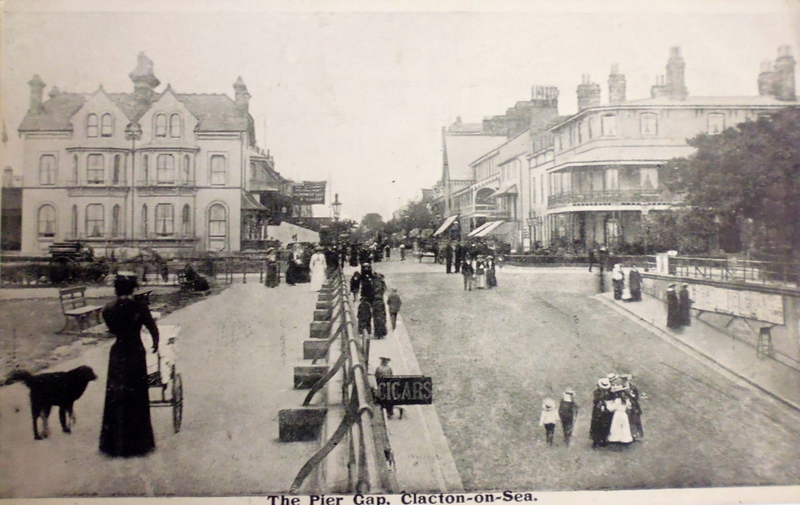 It described the new watering place of Clacton-on-Sea as “an adjunct to Walton-on-Naze”. 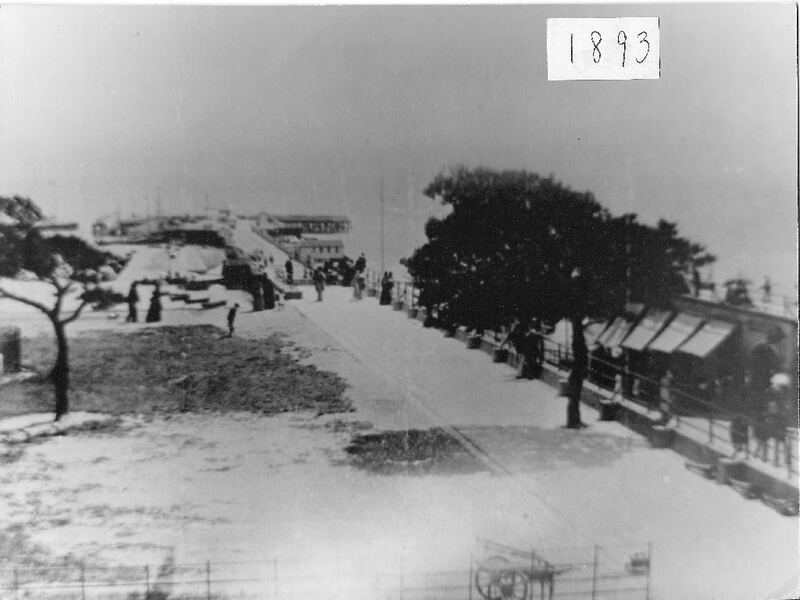 Eventually, the five-year deadline to build the pier was beaten by just two days, when on the July 18, 1871, the first steamship ever to call at Clacton landed at the pier. Its name was SS Queen of the Orwell. Clacton’s official opening as a town came on July 27 when the Woolwich Steam Packet Company brought 300 guests on board the SS Albert Edward to take part in the opening celebrations. As the pier was only 300 yards long, it only allowed vessels to berth during high tide so the visitors had a limited stay. One couple, however, had wandered too far inland and when they returned to the beach they found that the Albert Edward had already cast off. A boat was found to take them out to the steamship, but, as they were boarding, the lady fell into the water, apparently much to the amusement of those on board ship. Perhaps it was a symbolic baptism for the new town.